Academy Award-winning film editor Doug Blush will visit the Newhouse School on Saturday, Nov. 5, for a discussion and screening of the Emmy Award-winning HBO documentary film “Jim: The James Foley Story.” The event, sponsored by the Department of Multimedia Photography and Design, will be held at 6:30 p.m. in the Joyce Hergenhan Auditorium, Newhouse 3. 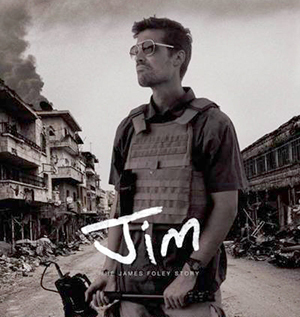 “Jim” is an in-depth look at the life and work of American journalist James Foley, who was killed by ISIS terrorists in 2014. The video of his public execution, which showed him wearing an orange jumpsuit and kneeling beside an ISIS militant dressed in black, shocked the world and became for many an introduction to the brutality of ISIS. The film was directed by College of Visual and Performing Arts alumnus Brian Oakes ’96, who was a close childhood friend of Foley. It won the Audience Award and was nominated for the Grand Jury Prize in the documentary category at the 2016 Sundance Film Festival, and won a Primetime Emmy Award for Exceptional Merit in Documentary Filmmaking, also in 2016. 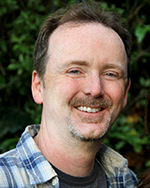 Blush is an award-winning director, producer, editor, writer and cinematographer whose work includes over 70 feature and television projects. He was the supervising editor on the 2013 Academy Award-winning “20 Feet From Stardom,” as well as on the previous year’s nominee, “The Invisible War.” He also edited and worked on “The Hunting Ground,” “State of Control,” “Being George Clooney,” “The S Word,” “The PBA Project,” “WordPlay,” “SuperHeroes” and others. The event is free and open to the public. For more information, contact Bruce Strong at 315.443.4868 or brstrong@syr.edu.